Anyone who's ever seen even bits and pieces of Game of Thrones can tell it's a massive production, one of the biggest on TV. In fact, HBO even aired a behind-the-scenes special about the show last year, showing one day on set, with crews set up in three different countries to bring the expansive world of Westeros to life. Every season, the show gets bigger in bigger, both in terms of scope and the size of the actual cast, but it seems that HBO may be scaling things back, with a much shorter Season 7. Just days before Season 6 debuted in April, HBO issued a renewal for Season 7, which had been expected by most fans, especially since reports surfaced last year that all of the main cast members had signed deals with HBO that spanned until Season 7. The network's official announcement didn't reveal how many episodes fans would get in Season 7, but since the show has always released 10 episodes a season, most assumed that we'd get a 10-episode Season 7. That may not be the case, however, with Jack Bender, who directed the two most recent episodes of Season 6, revealing in an interview with Vanity Fair that there will only be seven episodes in Season 7. Here's what he had to say, when asked if he was coming back next season. "I don't know the answer to that. They're only doing seven [episodes], and they've got their regulars who have done it forever. I know that I had a wonderful experience doing the show and I know that (series creators) Dan (Weiss) and David (Benioff) are thrilled with the shows, but I've got this series I'm mounting for the beginning of 2017 based on Stephen King's trilogy of books, starting with Mr. Mercedes. Brendan Gleeson is playing the lead, which I'm thrilled about, Anton Yelchin, and I'm in the process of mounting that. I haven't been asked yet and I also don't know what their schedule is going to be. But under the best of circumstances, schedule and everything, I had a great experience doing the show. If available and they wanted me, I would love to do that." 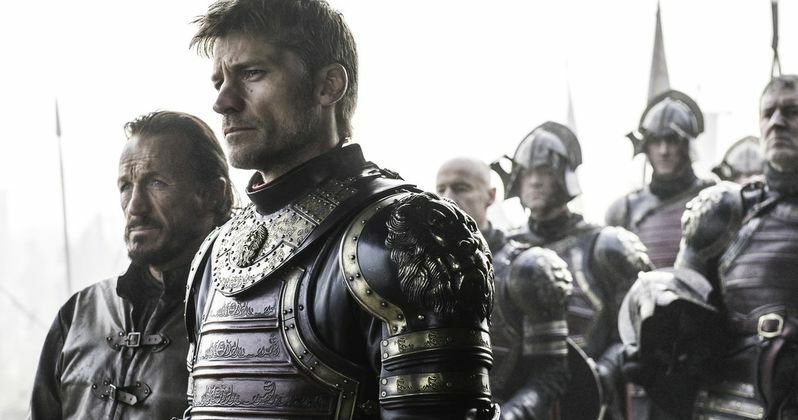 This news hasn't been confirmed by HBO, but back in April, showrunners Dan Weiss and David Benioff teased that there will be just 13 episodes left in the entire series after Season 6, with a seven-episode Season 7 and a six-episode Season 8. Sources close to the show said that it's too early to tell if that plan will become official or not, but with Jack Bender's recent comments, it's possible that HBO and the creators are leaning towards this plan. It's worth noting that this news comes just days before the seventh episode of Season 6, The Broken Man, is set to debut on Sunday, June 5. What we also don't know quite yet is if Season 7 will be the show's last or not. Many have assumed that the show would go seven seasons, since author George R.R. Martin has long planned to end his A Song of Ice and Fire books after the seventh installment. We still don't know when both the sixth and seventh books in his series, The Winds of Winter and A Dream of Spring will be published, but there was a rumor in January that HBO was eyeing a renewal for both Season 7 and Season 8, although they only issued a Season 7 renewal in April. We'll be sure to keep you posted with any updates on a shorter Season 7 as soon as we have more details.